[Prototypes, Process & Play] presentation podcasts are sponsored by [Balsamiq] - with Balsamiq Mockups, anyone can design great software. This podcast features Eli Silva, Senior Product Designer at Pivotal Labs, and his Presentation, “Designing for Diversity in Organization Design” from the design leadership conference Prototypes, Process & Play on August 11th, 2017. This podcast features Suzanna Bierwirth, Chief Creative Officer of The Mars Agency, and her Lightning Talk, “Managing Up, Down & Sideways” from the design leadership conference Prototypes, Process & Play on August 11th, 2017. This podcast features Kathi Kaiser, Co-founder and Partner at Centralis, and her Lightning Talk, “How to Design a Company” from the design leadership conference Prototypes, Process & Play on August 11th, 2017. This podcast features Dan Brown, Co-founder of Eightshapes and author of several key design books, and his Presentation, “Curiosity, Skepticism, Humility: Achieving the Right Mindset for Design Discovery in Teams” from the design leadership conference Prototypes, Process & Play on August 11th, 2017. This podcast features Jay Newton-Small, Co-founder of MemoryWell and author of "Broad Influence: How Women are Changing the Way America Works", and her Keynote, “Broad Influence - How Women are Changing the Way America Works” from the design leadership conference Prototypes, Process & Play on August 11th, 2017. This podcast features Mike Davidson, Former VP of Design at Twitter, and his fireside chat from the design leadership conference Prototypes, Process & Play on August 10th, 2017. This podcast features Lisa Welchman, Author of Managing Chaos: Digital Governance by Design, and her presentation, “Governing with Intention” from the design leadership conference Prototypes, Process & Play on August 10th, 2017. This podcast features Nicole Maynard, Head of User Experience at Hyatt, and her Lightning Talk, “Cultivating Happiness” from the design leadership conference Prototypes, Process & Play on August 10th, 2017. This podcast features Julia Keren-Detar, UX Designer at Untame, and her Lightning Talk, “Usability Testing & Development on a Shoestring Budget” from the design leadership conference Prototypes, Process & Play on August 10th, 2017. This podcast features Carmen Medina, CEO of Normative, and her presentation, “Lead Above Mediocre Thinking” from the design leadership conference Prototypes, Process & Play on August 10th, 2017. This podcast features Matthew Milan, CEO of Normative, and his presentation, “Making Moonshots” from the design leadership conference Prototypes, Process & Play on August 10th, 2017. This podcast features Scott Berkun, author and speaker, and his keynote, “The Dance of the Possible” from the design leadership conference Prototypes, Process & Play on August 10th, 2017. Chicago Camps interviews Christian Manzella, a Speaker Mentor for Speaker Camp Seattle on February 28th. Christian is the VP of UX at Moz, an SEO software company in Seattle, and also the founder of GIANT, which holds multiple events each year. Chicago Camps interviews Nishant Kothary, Cofounder at Minky, author, and speaker. Nishant is also a Speaker Mentor at Speaker Camp Seattle on February 28th, 2015. His dog, Yoshi, is an internet celebrity. Well, sort of. Chicago Camps interviews Marianne Sweeny, Principal at Daedalus Information Systems. Marianne is also a Speaker Mentor at Speaker Camp Seattle on February 28th, 2015. Chicago Camps interviews Margot Bloomstein, Principal at Appropriate, Inc. and author of Content Strategy at Work: Real-World Stories to Strengthen Every Interactive Engagement. Margot is also a Speaker Mentor at Speaker Camp Boston on October 11th, 2014. Chicago Camps interviews Dana Chisnell, Principal Consultant at UsabilityWorks, Visiting Scientist at MIT, and Co-Founder at Center for Civic Design. As if that's all not enough, Dana is a Speaker Mentor at Speaker Camp Boston on October 11th, 2014. Chicago Camps interviews Boon Sheridan, Product Designer at NASDAQ OMX. Boon is a Speaker Mentor at Speaker Camp Boston on October 11th, 2014. Chicago Camps interviews Kyle Soucy, Founding Principal at Usable Interface. Kyle is a Speaker Mentor at Speaker Camp Boston on October 11th, 2014. Chicago Camps interviews Jenn Downs, UX Researcher at ShootProof. Jenn is a Speaker Mentor at Speaker Camp Boston on October 11th, 2014. Chicago Camps interviews Jason Kunesh, CEO of Public Good Software. Jason is presenting a keynote at Prototype Camp on September 13th, 2014. Chicago Camps interviews Brittanie Crain, Manager of Interaction Design at Manifest Digital in Chicago. Brittanie is presenting at Prototype Camp on September 13th, 2014 about how she uses Axure in all phases of the prototyping process with a variety of different partners. Chicago Camps interviews Adam Tramposh, Senior Manager of UX at Manifest Digital in Chicago. Adam is presenting at Prototype Camp on September 13th, 2014 about his process for creating an application for Google Glass. Chicago Camps interviews Nicole Maynard, Lead Interaction Designer at GE Capital Americas in Chicago. Nicole is presenting at Prototype Camp on September 13th, 2014 about the remaining flexible while testing prototypes. Chicago Camps interviews Jonathan Ozeran, VP of Product at Zest Health in Chicago. Jonathan is presenting at Prototype Camp on September 13th, 2014 about how he's managed prototyping hardware and software for dog collars with a globally dispersed team. Chicago Camps interviews Kamaria Campbell, Information Architect & User Experience Design consultant at IBM in Chicago. Kamaria is presenting at Prototype Camp on September 13th, 2014 about how to manage all the many requests that can be made of a prototype and the prototyper. 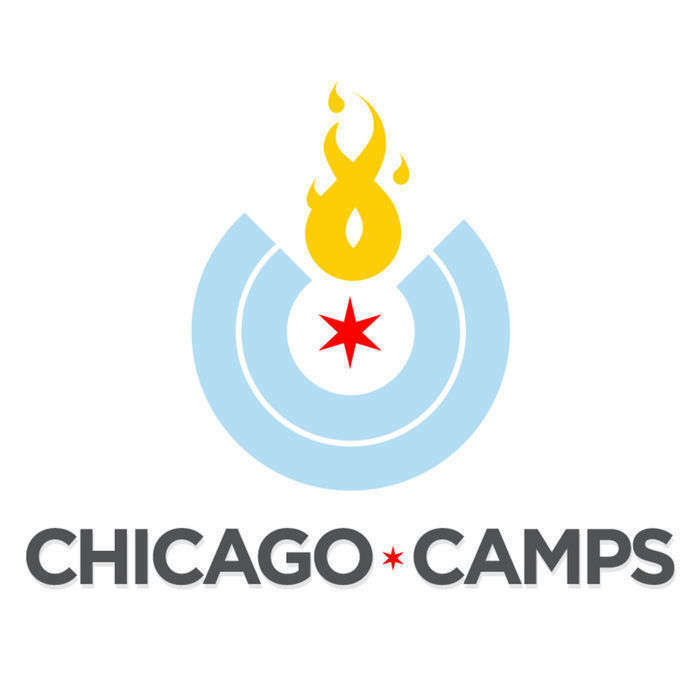 Chicago Camps interviews Ross Belmont, Chief Experience Officer of Chicago-based Appiphony. Ross is presenting at Prototype Camp on September 13th, 2014 about the pitfalls his team has run into as they made the move to interactive prototypes. 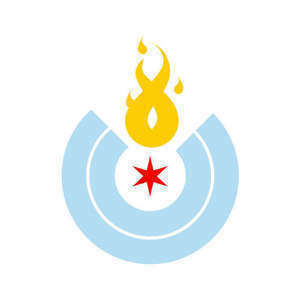 Chicago Camps interviews Brett Schilke, the Chief Instigator for Chicago non-profit. Brett is presenting at Prototype Camp on September 13th, 2014 about how kids can use 3D printing and the design process to prototype change for the future. Chicago Camps interviews Ben Lister of the design and front end development teams at Sprout Social. Brandon is presenting at Prototype Camp on September 13th, 2014 about how Sprout Social uses prototyping as part of their business. Chicago Camps interviews Brandon Satrom, Director of Product Management for Telerik in Austin, TX. Brandon is presenting at Prototype Camp on September 13th, 2014 about how proper prototyping can be used to eliminate design specs. Chicago Camps interviews Marina Lin, Senior Interaction Designer for Mobile Apps at Cars.com in Chicago, IL. Marina is presenting at Prototype Camp on September 13th, 2014 about how multiple techniques and stages of prototyping can be used in the design process. Chicago Camps interviews Will Hacker, Lead Interaction Designer at GE Capital Americas in Chicago, IL. Will is presenting at Prototype Camp on September 13th, 2014 about the pitfalls that can happen when you take your prototype out of the office and into the real world. Chicago Camps interviews Jon Hadden, the founder of NiceUX, a user experience design and development consultancy in Minneapolis, Minnesota. Jon will be presenting at Prototype Camp on September 13th, 2014 about Communicating with Flexible Documentation. Chicago Camps interviews Fred Beecher, an Axure fanatic (and perhaps a bit of a legend), a grower of UX Designers through his UX apprenticeship program at The Nerdery in Minneapolis, and a regular contributor to the UX Design community through a variety of articles and presentations. Fred was the closing keynote for Prototype Camp 2013 and is talking to us about a whole bunch of things around prototyping and Prototype Camp. Chicago Camps interviews Doc Waller, an award-winning stage performer turned creative entrepreneur--he's performed with New York City--and regional theatres, national television, TEDx stages, and so much more! He also frequently helps others get on stage, as performers or presenters, and he's talking to us about speaking at conferences.